Remember when this was a DIY/sewing blog? Yeah, me neither, but for a few months it was! This thing called "real life" really gets in the way of having hobbies but while I was in Italy I didn't have wifi (how did I survive? Nobody knows) so I turned to knitting to keep me occupied on cold, rainy weekends. What I learned is that knitting is incredibly relaxing; it keeps my restless hands occupied and stops me from wasting entire days scrolling endlessly through instagram. I also quickly discovered that the majority of knitting patterns online are highly complex, not to mention frumpy and old-fashioned. So I tried to wing it on my own but that didn't work out either. 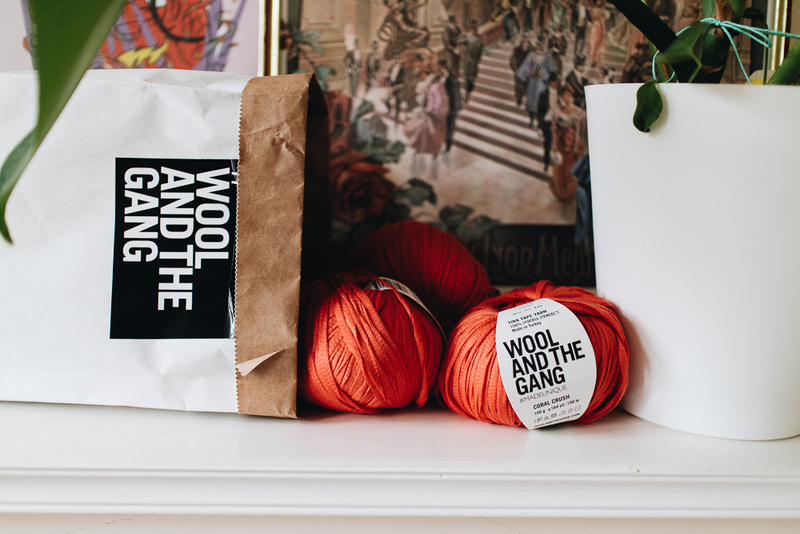 Enter Wool and the Gang. 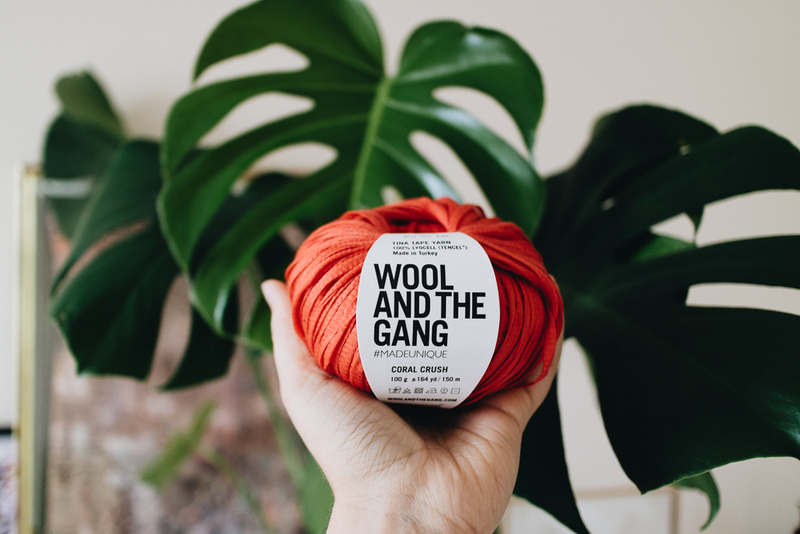 You may have heard of Wool and the Gang, they've certainly been on my radar (and Christmas wish list) for a few years. 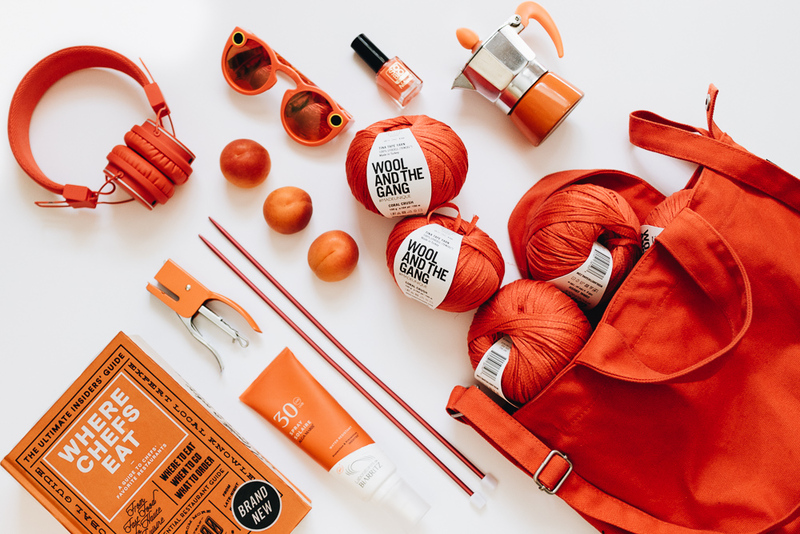 They make fun, modern knitting kits in all sorts of colours and yarns that are perfect for even the most clueless beginner knitter. 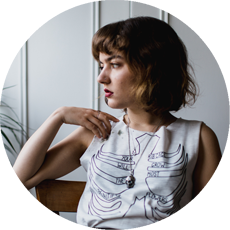 They are also involved with Fashion Revolution, sharing the people and process behind making their yarns. 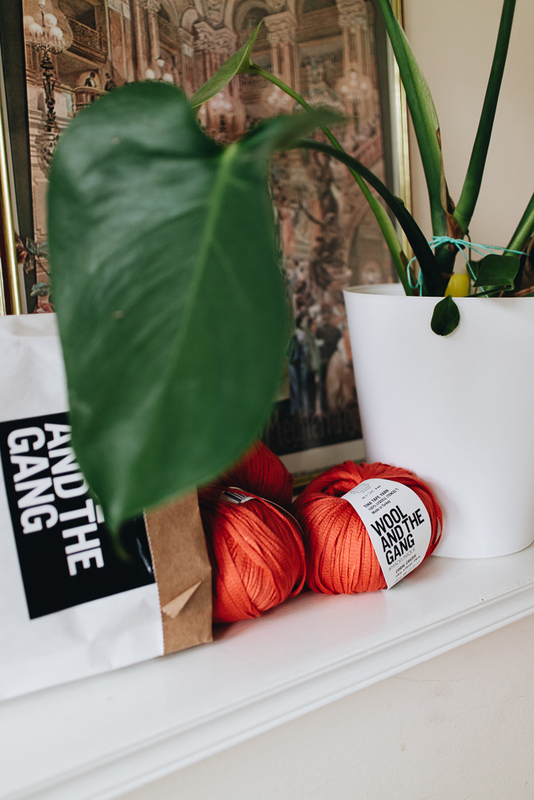 In May, Wool and the Gang launched Tina Tape Yarn (made from tencel) and I've been trying it out. Tencel has really gained traction in Ethical fashion recently (like the tencel collection by People Tree) and it's easy to see why, it's made from eucalyptus which grows on land that is otherwise unusable for other crops and the whole process, from plant to fabric, uses 80% less water than cotton production (which is bonus because cotton is a huge water hog). Tina Tape yarn is soft like silk (but totally vegan) but cool enough to wear in summer. 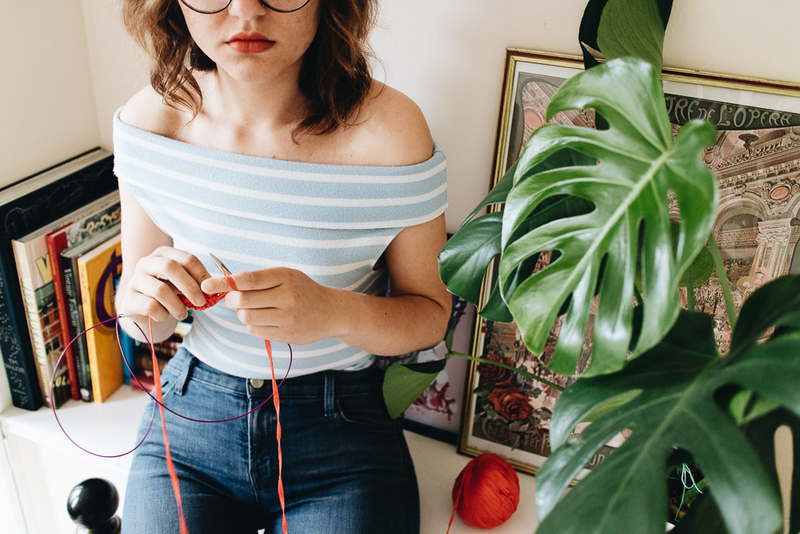 Ethical crafting and DIY materials aren't as readily available and easy to find as pre-made ethical fashion so if you're looking here are three quick tips to help you spot the best options. These mostly apply to fabrics and yarns but are generally good principles for all sorts of crafting. Natural materials are best as they're biodegradable but some are better than others. This guide from Trusted Clothes lists and rates different varieties of fabrics (ratings are equally valid for yarns). As well as the sort of the fibre, it's important to consider how it's made. There are many different things to look for, e.g. Organic cotton, non-toxic dyes, or peace silk. 3. Ask "Who Made My Craft Supplies?" 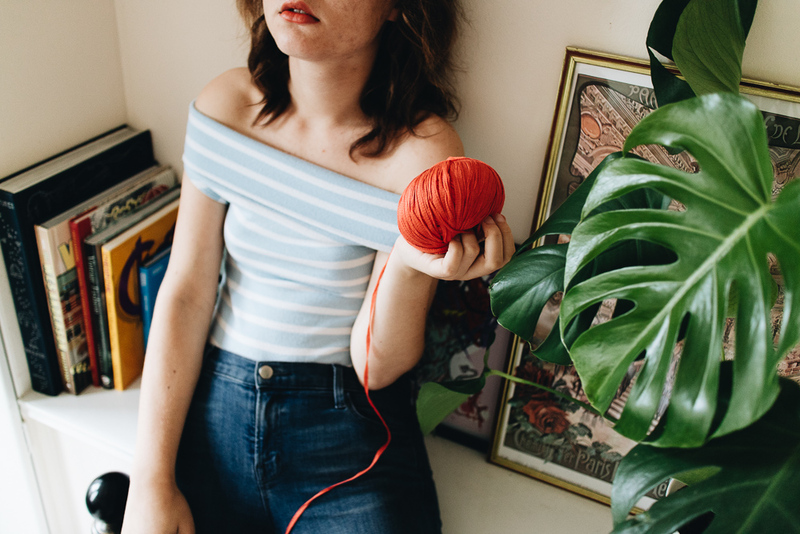 Sewing and knitting are only the final step in the long process of clothing manufacture, by making clothes ourselves we can guarantee there is no exploitation at that final step by there are also people involved in the manufacture of yarns and fabrics. Look out for Fair Trade certifications or details about the place of manufacture, if you're not sure, just ask!